Robin Hominiuk was born in Canada and moved to the United States in 1998. She received her clay education via community education courses and several terms at Mt. Hood Community College. She regularly attends workshops to keep a fresh perspective and learn new techniques. In 2004 she built her home studio and has never looked back. In addition to the beautiful functional pots she produces from her studio kiln, she also creates pottery and sculpture for wood firing. These pots are fired in huge kilns based on ancient Japanese traditions. The pots are fired for 70 plus hours with a committed group of potters and six to eight cords of wood. 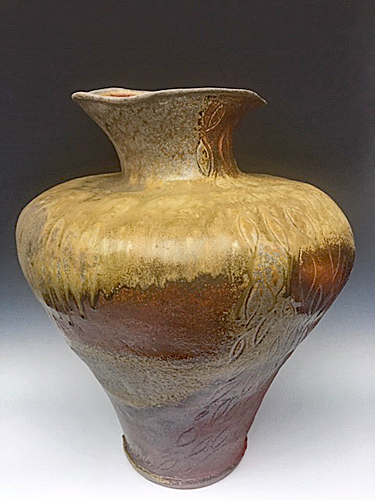 Pottery fired in this intense method is transformed by flame and ash; the colors and marks cannot be replicated or produced in any other way. 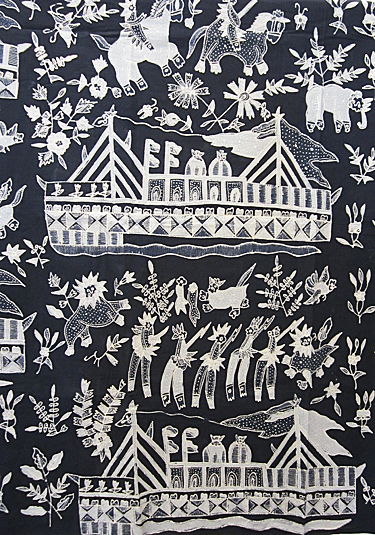 Robin’s work has been featured in numerous national and international collections. A lump of clay is a seductive thing - it is the beginning of a journey, an exploration of possibilities. 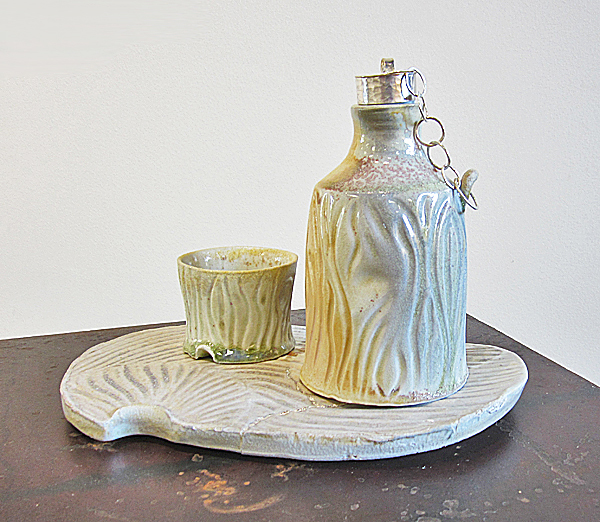 My clay work is inspired by many things, from the practical considerations of the everyday utilitarian - the plate-cup-bowl… that you envision and know will give joy in its function and beauty, to the natural world that surrounds us, like the softly rounded water-etched rocks that are formed by the river near our home. Inspiration also comes from sources a little more obscure – a dream from the previous night, or perhaps from that weird thing that just happened to the piece you are working on! 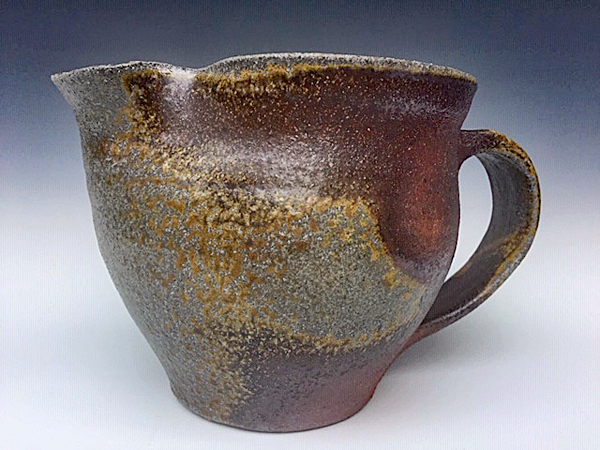 I utilize both hand building techniques and the potter’s wheel, often in combination, to achieve the form I am looking for. I give much thought to the selection of clay, glaze, firing method and kiln before picking up that lump of clay; each plays a role as I develop my vision of the finished piece. 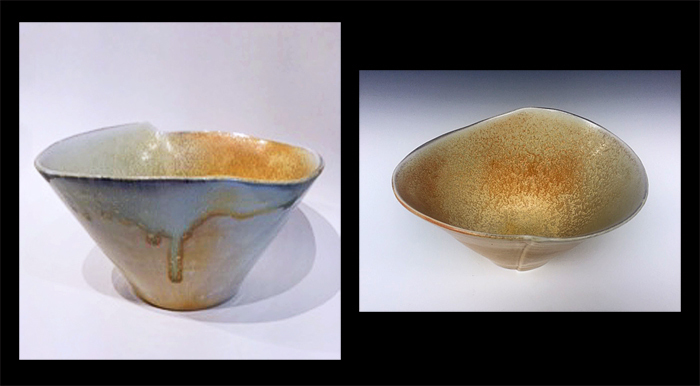 The majority of my work is wood fired in kilns based on ancient Japanese and Korean designs. These are large tunnel shaped kilns – that are fired upwards of 70 hours, fueled only with wood and the hard work of fellow potters. Various zones within each kiln yield individual characteristics, and while I use my experience to place my pots where I feel each will receive the best effect, the outcome is always unpredictable. 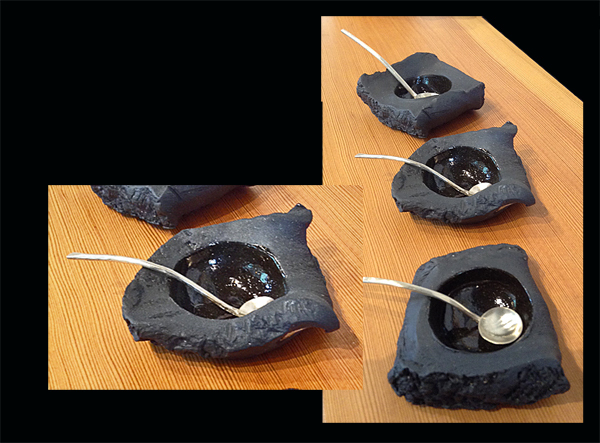 In these types of firings, there are no guarantees - you surrender your expectations and control to the kiln. The unique aesthetic of wood fired pots reflects the ever changing dynamics of fire and ash, potters and clay. 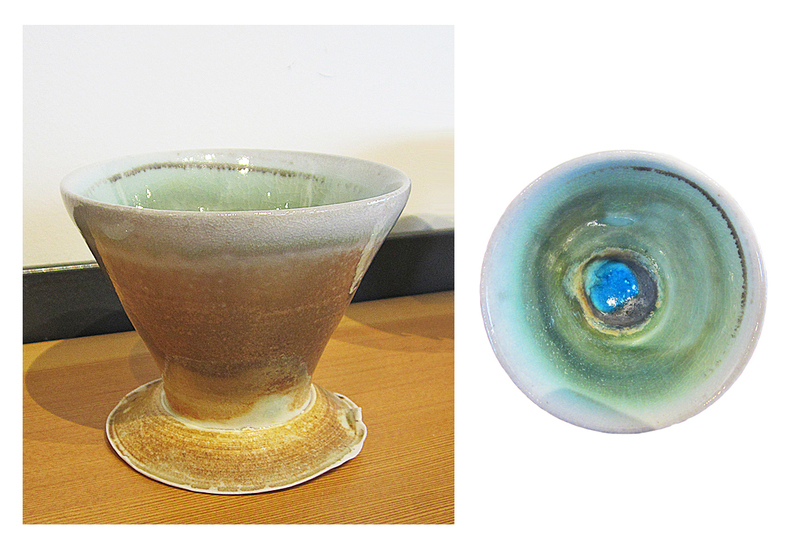 Your efforts are rewarded when the kiln is cool enough to open. Pots emerge from the kiln, transformed beyond preconceived ideas and anticipations. 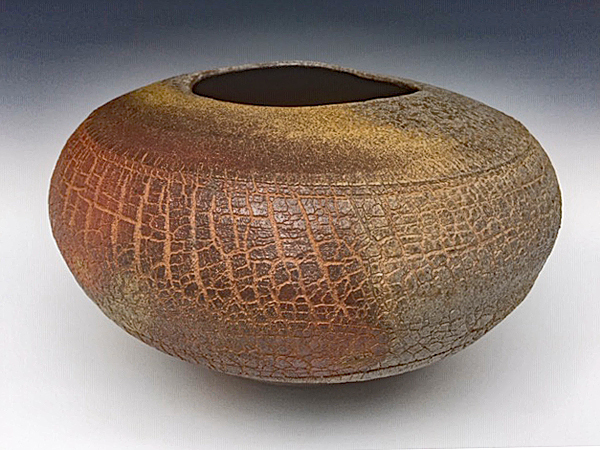 Each piece awaits your attention and slowly reveals itself - ash drips, luster, swirls of the flame path, etching – all provide a permanent record of each firing captured on each pot. Every firing is eagerly awaited, knowing that just as the kiln transforms my pots, the experience of the firing, and the coming together of likeminded souls working for a common goal also transforms me. Porcelain with 24k gold leaf on rim. Dimensions: 3" x 3" x 3". 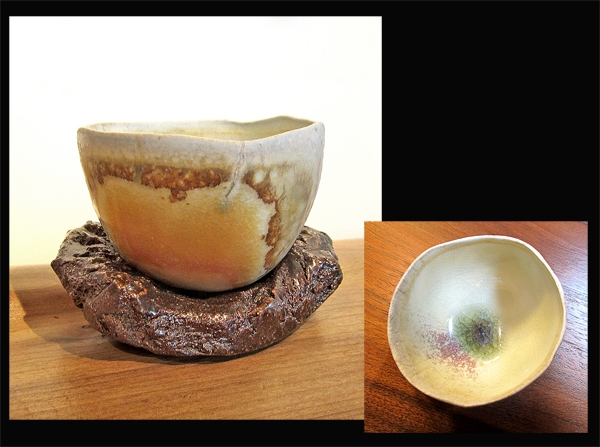 Wood-fired stoneware. 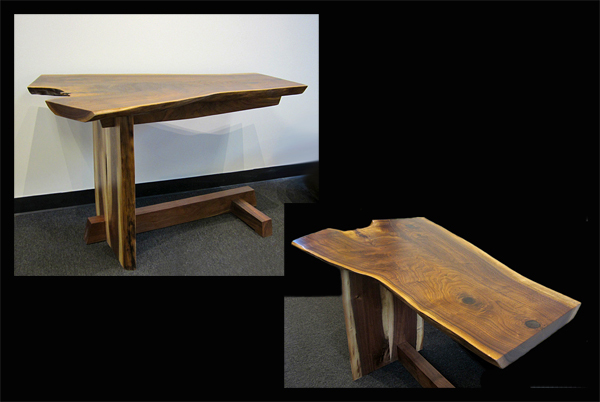 Dimensions: 21" x 13" x 12". Wood fired stoneware. Dimensions: 6" x 10" x 10". Wood fired stoneware. Dimensions: 6" x 8" x 5". Wood fired stoneware. Dimensions: 4" x 8" x 6". 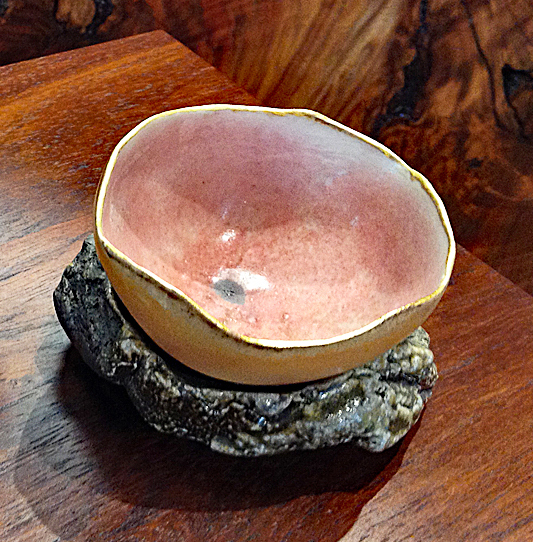 Porcelain pink eggshell bowl on ceramic base with 22k gold leaf. 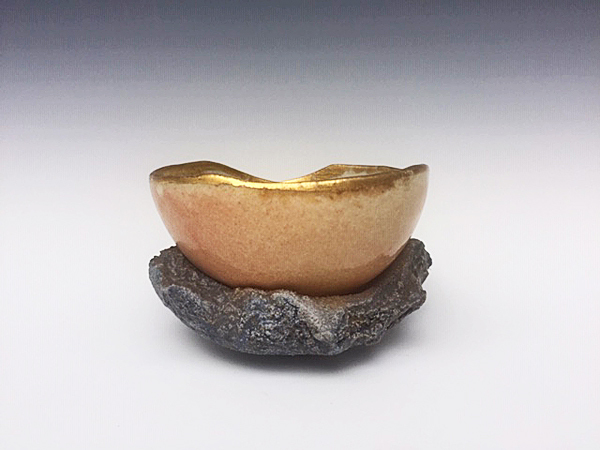 Stoneware eggshell bowl on ceramic base with 22k gold leaf. 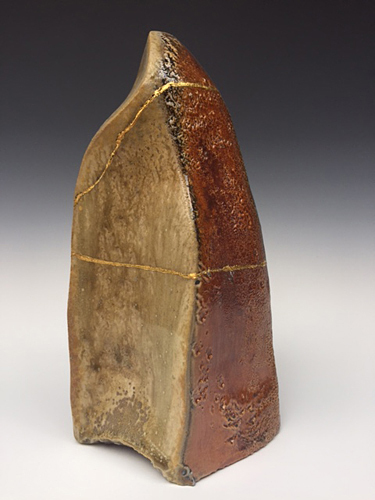 Stoneware with 22k gold leaf. Wood fired. Second of three in series. For other shapes, see separate listings. Comes with sterling silver salt spoon. For materials and dimensions, please contact the Gallery. 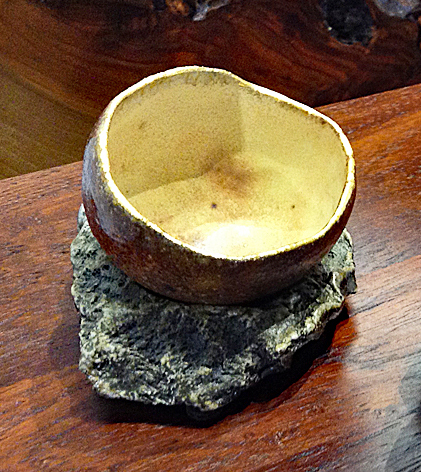 Sculptural tokkuri with Inset Cup. 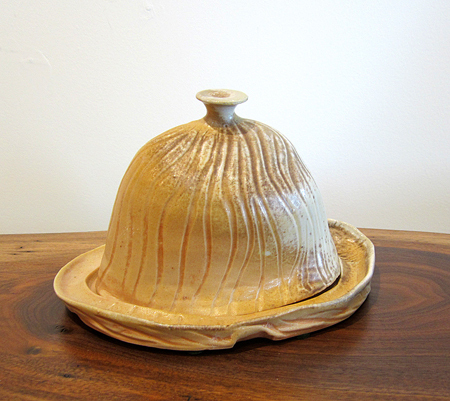 Wood fired iron bearing stoneware with copper topped ceramic topper. 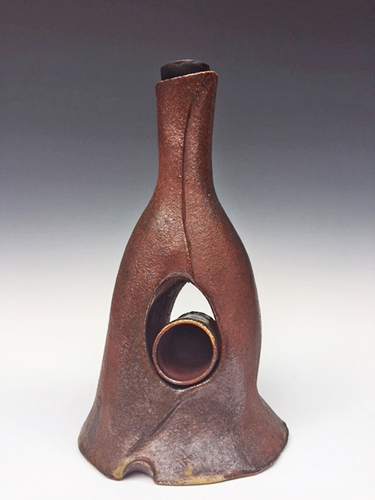 This piece was fired in Southwest Washington in 2016, at the last firing in a kiln that was subsequently taken down. Dimensions: 10.5" x 5" x 5".